With Dr. Tom Price’s recent confirmation as the new secretary of the Health and Human Services, many are wondering what the GOP’s “repeal and replace” plan is actually going to look like. Over the course of the last few weeks, major news outlets have begun shedding light on this as more information rises to the surface. Price plans on moving quick. A Georgia legislator and former doctor, he’s been a longtime critic of Obamacare and already has a plan for how to reform it. While many congressional Republicans are struggling to put together a concrete plan, Price has a very clear vision of his solution. 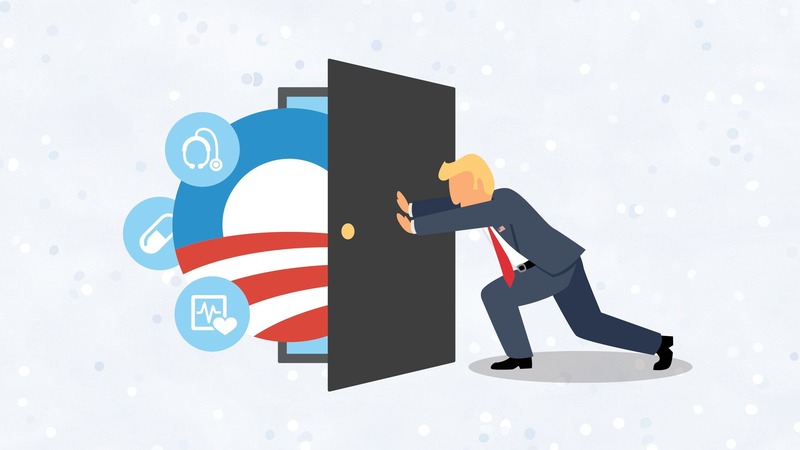 He recently wrote the Empowering Patients First Act, perhaps the most thorough and detailed proposal to repeal and replace Obamacare, according to Vox. As a fierce opponent of Obamacare, Price began focusing his energy on dismantling the landmark law shortly after Obama passed it in 2010. 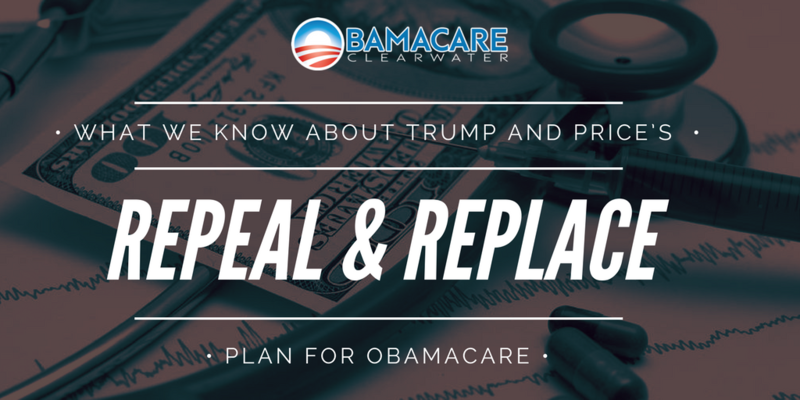 In this blog, we’ll go over some of the biggest changes under Tom Price’s repeal and replace plan. Price is a seasoned health policy thinker who has a deep understanding of major public-insurance programs and reforms. His selection was a clear indication of the direction President Trump plans to go in. This includes defunding Obamacare subsidies, making strategic cuts to Medicaid, expanding high-risk pools, health savings accounts tax breaks and maintaining continuous coverage requirements for pre-existing condition waivers. While Price hasn’t gone into many specifics, he has generally discussed his intention to bring health care decision making back to the states to help both doctors and their patients harmed by Obamacare without “pulling the rug out from anybody.” As health secretary, Price takes on a new role and has the authority to rewrite or reinterpret the guidelines that help implement Obamacare, which gives him a lot of power over the future of the law, according to the Atlantic. Price believes that right now, “people have coverage, but they don’t have care,” according to NPR. His plan aims to change that through the implementation of five key policy planks. His plan offers fixed tax credits so that people can buy their own insurance on the private market. These credits would start at $1,200 per year, rise with age and wouldn’t be adjusted for income. Additionally, Americans on Medicaid, Medicare, military health plans, or Veteran’s Affairs’ health plans could “opt instead for the tax credit to buy private insurance” NPR wrote. Price is also among the growing number of Republicans advocating for the expansion of health savings accounts, which allow people “save money before taxes to pay for healthcare.” An HSA is a tax-advantage medical savings account available to US taxpayers who are enrolled in a high-deductible health plan. Funds contributed to the account are not subject to federal income tax at the time of deposit. Under Price’s plan, people covered by government health programs would also be able to leverage HSA’s to pay for premiums and copayments. A lot of Americans are worried about whether or not people with pre-existing medical conditions would be denied coverage under a new healthcare law, and Price’s plan addresses this. Under Price’s plan, people with existing medical conditions would not be denied coverage as long as they had continuous insurance for 18 months before selecting a new policy. If not, they may be denied coverage for that condition for up to 18 months after buying a new plan. Lastly, we would see the emergence of high-risk pools under Price’s plan. While critics say that high-risk pools typically fail because they tend to be underfunded, Price maintains that they would be an effective tool to assist people with existing medical conditions get affordable health insurance through the government. Despite the fact that Price has now been confirmed as the HHS secretary, he does not have the authority to replace Obamacare himself. However, he will be a key player in the negotiations with Congress in how to best go about replacing it and will also have extensive control over the replacement implementation. He will have to find ways to compromise with his Republican colleagues on the Hill because there are numerous other replacement plans that have been written as well. Do you have the right talent in place for 2017? Click here to learn more about our recruiting services? While many Democrats are worried about the implications of Price’s confirmation, he’s proven his leadership by taking action on issues, introducing his own healthcare ideas including patient-centered solutions that will have a positive impact. He believes it’s time for people to have quality health care and to build a system that prioritizes patients, families and doctors over politicians and bureaucrats in Washington. He believes that patients should have the power to make their own healthcare decisions, not Washington DC bureaucrats. Only one thing is for certain in today’s healthcare industry, change is rapidly approaching and organizations need to have the right talent in place to successfully manage it. However, without knowing exactly what is going to change, it’s hard to know what type of talent is required. It’s important to stay in-tune with what’s going on, stay in contact with colleagues and thought leaders, and consider leveraging healthcare talent acquisition specialists like us at Healthcare Recruiters International to stay ahead of the curve. It’s best to be proactive in that sense, so that when the need arises, you can make agile decisions when it comes to talent. We can help you identify, recruit and retain top industry talent in a wide range of practice areas, including Healthcare Executives, Mental Health, Allied Health, Medical Device and more. Do you have a recruiting strategy as a healthcare organization? Here’s Why You Need One!